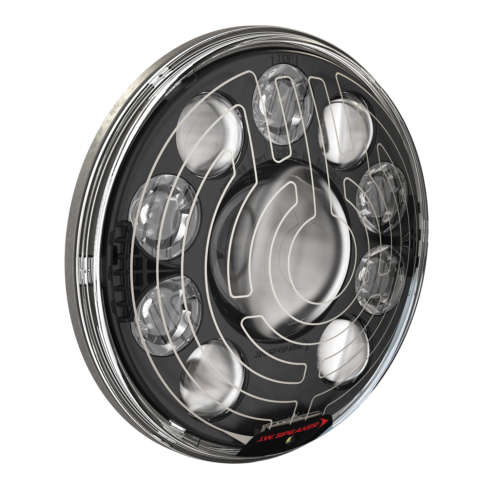 The Model 8770 offers the most powerful FRA-approved replacement solution for 7″ locomotive headlights (PAR56). Designed for railroad locomotives using only high and low functionality (determined through a control line), the Model 8770 GEN3 can also be used as a ditch light application. Designed for railroad locomotives using only high and low functionality (determined through a control line), the model 8770 can also be used as a 75V ditch light application. Additional features include heavy-duty construction, solid-state electronics and our unique SmartHeat® technology that effectively melts snow and prevents icing. LEDs are long-lasting, providing years of maintenance-free operation and lower life-cycle costs when compared to halogen lamps.